First of all, I just want to say this post is not part of the Quest 2015 series. I have part 7 started as a draft and have been letting the topic marinate for a bit after all the writing I did in December and over the holidays. Meanwhile, I’ve been inspired to write a post about another topic that I can’t put off until after the series. I recently finished reading an extraordinary book called War and the Soul by Edward Tick, Phd. It is a profound introduction and study on the implications of modern day warfare, it’s impact on society and the world, and ultimately, the healing of our nation’s veterans from PTSD. Edward Tick has done a profound job of covering a difficult subject with a sensitivity combined with sobering honesty that is beyond admirable. His gift in addressing the multifaceted and complex realities of war is of great service to our nation and perhaps the world as violence continues to be a daily reality for many nations and people. This is a book that I strongly feel should be read by not only by everyone in government, military personnel, and military families, but also by regular civilians. Much of America, unless directly impacted, has been fairly successful in remaining detached and aloof from military matters because most of it is carried out overseas rather than on our own soil. Other than 9/11, the realities of war have been so far removed from the every day life of American citizens, many remain in denial about that aspect of life altogether. It’s only natural that our own people would be ignorant about what we don’t have to face in our day to day lives. Yet it is this ignorance that sets us up to have far too many blind spots and we wind up taking our own freedom and security for granted. As a result, our culture and society has been ill-equipped to handle the fall out and consequences in the aftermath of war. Or fail to understand altogether the trauma that soldiers experience on the battlefield that literally shatter many of their identities, belief systems, faith in God and country. For soldiers that survive combat, they leave us as one person to fight a battle in some far off, foreign place, only to eventually return, but not as the same person. Yet, we expect them to be. We don’t know anyone other than the person they were when they left, and this is understandable. Yet we expect them to be able to jump right back into ‘real life’ on American soil right where they left off. And for many, this has not been possible. For a combat soldier, life as they once knew it is over. Fairy tale beliefs and happily ever after, pie in the sky American thinking is quickly shattered for many. They are forced to face a living hell that many only read about or see in the movies or on television, yet still doesn’t come close to the real experience. They are forced to come face to face with their own mortality, the possibility of death on a day to day, moment by moment basis. Their senses become acutely honed and accustomed to high alert status. PTSD was originally classified as a stress disorder. Since that time, traditional psychotherapy combined with medication treatment have been limited in effectively treating it because it only touches on part of the problem and primarily deals with symptoms. 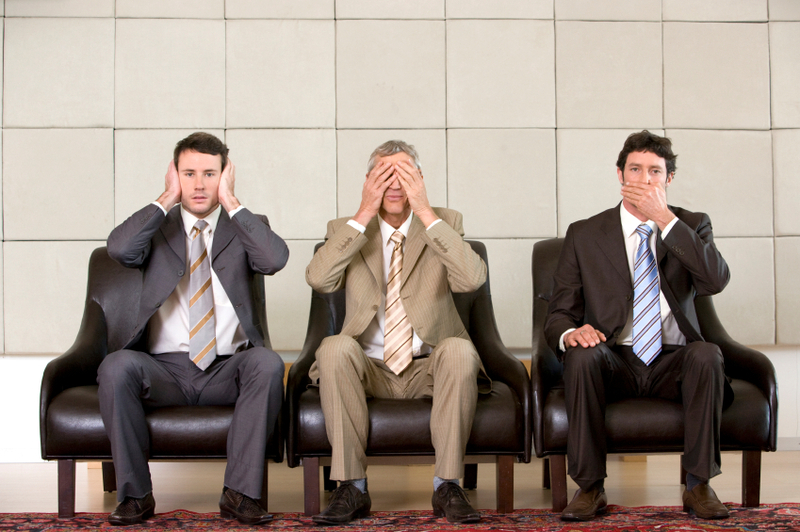 It fails to reach the root cause or core while addressing the person holistically. Dr. Tick illuminates the vast scope and nature of PTSD in revealing that it goes beyond trauma related stress. It is an identity and soul wound that needs to be treated in such a way that both are restored in the life, heart, and mind of the soldier suffering from it. In addition, Edward found that many therapists have instructed veterans to avoid their memories and talking about their experiences as a way to limit stress. He found that many veterans told him that this only served to lock their memories in a prison inside of their head and left them to deal with too many ghosts from the past. Dr. Tick found they needed help to face their demons. They needed to be able to talk about what happened, their experiences, their involvement, and the roles they played. We cannot escape the clutches of war and its realities on our own soil even though we may not personally see or experience the violence done to both sides; loss of life, devastation of homes, schools, entire villages, cities, landscapes, and food supplies. The impact is keenly felt by every family member who has lost a loved one in war, or have had to face the psychological and physical injuries that leave them scarred for life. The unhealed wounds of our veterans that sacrificed so much for our country and what they were ordered to do, impact our own society, yet also become intensified by a society that is so ill-equipped with experience, wisdom, and understanding to know how to help them. And in some cases, have even rejected and abandoned them. 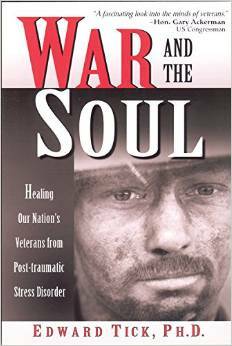 War and the Soul covers far more material than I can adequately touch on in a single post. I can hardly do any of what I’ve read justice as it is. However, another aspect that deeply moved me in the book had to do with the myriad of moral and ethical dilemmas that both soldiers and civilians in the midst of war had to face. Some of the stories I read literally moved me to tears. In fact, just the thought of remembering some of them have caused my eyes to well up with tears again as I type this. One of the dilemmas many soldiers in Viet Nam had to face was going in to war with the belief that they were the ‘good guys’, only to receive a rude awakening on the battlefield when they realized that they, were in fact, the bad guys, as they were ordered to destroy villages that killed innocent families and children rather than armed ‘enemies’. Some soldiers shared how they woke up as huts were torched by their comrades and as they witnessed and heard the blood curdling screams of the innocent being murdered, they realized that those innocents were not the enemy…they were. And yet felt impotent and powerless in many cases to be able to protect the innocent if it meant having to turn on their own comrades in the moment of truth. Some were so overtaken by shock and grief at this realization, they ran off and hid because they couldn’t bear to face what was happening. Other stories shared how civilians during times of war are given ultimatums. One story during WWII was of a man who was told to shoot his wife or he and his entire family would be killed. He felt forced to murder his own wife rather then subject all of them to death. Another had to sacrifice his own young son or several people would have been killed. These are the impossible, no win moral dilemmas that many soldiers and civilians all over the world have to face in a time of war. They are placed in a no win situation of kill or be killed. In that type of chaos, morality and ethics lose, along with the identities and souls of many who survive it. The human soul cannot easily cope with the realities of war, even if believing the cause was just remains intact for the duration. And many of the people who have been dehumanized are not just the lives lost at the hands of soldiers, but the soldiers themselves. They have been used as pawns to serve political ends for the most part, in a global game of political chess. Rarely have we had to go to war with any of our direct food supplies or families lives at risk. Unlike wars between the tribes throughout history. Our advanced weaponry and destruction on massive scales have only served to demoralize and dehumanize all engaged in it. Moral pain goes beyond the psychological stress and trauma of combat. It reaches in and tangles around the very heart and root of the soul. And if our soldiers are lucky enough to survive, they face a new war and battle when they return home. By 1998, more than 100,000 veterans committed suicide. I have two daughters and both went through a phase where they loved this song by My Chemical Romance called The Ghost of You. I remember crying the first time I watched this video. If you are a veteran and graphic war images trigger you, please don’t watch the video. This is mainly to help put things in better perspective and context for civilians. Our soldiers initially enter war as innocents, rarely having an adequate understanding of what they will be facing in the war zone. Some go away believing in the stories of John Wayne, images of heroism, never understanding that John Wayne never actually served in war or experienced battle. And once in the midst of the nightmare, many wind up wondering what they are really fighting for. This leads me to one of the most tragic aspects of war that I’ve noticed is a big factor in creating gaps between generations. Fairly recently I read something a leader wrote in regards to respect and how the young should automatically owe it to their elders without any efforts on their part to earn it. Frankly, the sense of entitlement and arrogance in the way it was presented and worded dumbfounded me. And I had to remind myself that when people don’t have enough facts or first hand experience in certain areas of life, some of the most important details get left out and ignorance is the unfortunate result. In the poem I mentioned, it was written by a young British man by the name of Wilfred Owen, who served during WWI. Hundreds of his poems were written over the span of a year shortly before he died and only entered the public domain after his death. He died at the age of 25, just a week or so before the war ended. In his poem, The Parable of the Old Man and the Young, he begins by recounting the old biblical story in Genesis where Abraham takes his oldest son Isaac up to the mountain top to offer as a sacrifice to God. The last two lines of Owen’s poem brings the ‘gap’ between generations into stark focus. The heart and cause of this ‘greed’ and why the younger generation has such a problem with trusting their ‘elders’…. When the older generation pauses long enough to grasp this…perhaps some understanding will melt their hearts enough to realize they haven’t given the younger generations much reason to have faith in them. And stretchèd forth the knife to slay his son. And half the seed of Europe, one by one. All for pride and greed. When the younger knows the older views them with such little worth and is willing to dehumanize them, and sacrifice them and THEIR future for greed, why do elders expect or feel entitled to so much ‘respect’? That’s my question. And I’m sure it echos many. Personally, for years I have found it odd that we’ve had President’s who were major advocates for being Pro-Life in one breath, than ordered us to go to war in the next. And always failing to see the hypocrisy and irony of it. How can they not see the absurdity in the idea that life is only precious for the first 9 months while it is being carried in the womb, only to be considered a life expendable once born. I can’t help but feel like the movie, The Matrix, is a bit of our reality if we are only being used to breed soldiers to do the nations bidding and to serve their own selfish political ends, but that is a topic for another time and another post. And I would much rather our government be healed than to go to war with it myself! Right now, I want this post to honor my fellow brothers and sisters who have given up much to serve our country. If not with their own lives, their precious innocence. And we owe them far more than they have been given. We owe them our help as a society to bear their burdens they carried for us. It doesn’t matter if we ‘believe’ in war or not. We owe them for doing what they were ‘called’ to do. It is our duty as citizens to help carry the burden even if we don’t agree with the actions, decisions, or politics of government. They need us and we are in part, the medicine they need to heal their deep psychological wounds and scars. Fortunately, Edward doesn’t leave us in the depths of despair but offers us a bit of a framework that he has been using to help our soldiers recover on the long road home. The suggestions he offers to us to be in service to survivors is similar to the Jewish practice of tikkun olam, which means ‘repairing the world‘. In some ways we may help in large scale efforts involving social justice and world peace efforts, or more closely, working with people one on one. One of the most important pieces to facilitating the healing process is in the act of telling the difficult and painful truth. And for us as listeners, to be willing to keep our hearts wide open and to affirm and validate our veterans stories without any denial. When we are equipped with the truth, we become more capable of drawing upon more life-affirming and proactive efforts to restore not only the health of our veterans but the relations with former enemies and with the dead that have been lost on all sides. As we engage in various healing processes, we can explore more ways to serve and atone for former actions in times of war and help restore lives and communities that suffered loss and damage. Some soldiers are already finding healing by revisiting where they served in war and helping rebuild schools damaged during battle. In Viet Nam, much healing has already been taking place between Americans and Vietnamese; who, with open arms and hearts, have welcomed many Viet Nam veterans into their homes and fed them, while they exchanged their stories during the war. Peace is being made. Ghosts are being laid to rest. Lives are being restored. A new hope is being born for those that have spent years of their lives frozen in grief and despair. I am an American Soldier. I am a Warrior and a member of a team. I serve the people of the United States, and live the Army Values. I will always place the mission first. I will never accept defeat. I will never leave a fallen comrade. I am disciplined, physically and mentally tough, trained and proficient in my warrior tasks and drills. I always maintain my arms, my equipment and myself. I am an expert and I am a professional. I stand ready to deploy, engage, and destroy, the enemies of the United States of America in close combat. I am a guardian of freedom and the American way of life. A soldier is trained to accept the creed to ‘leave no fallen soldier behind’. And we owe the same to them when they return to us.